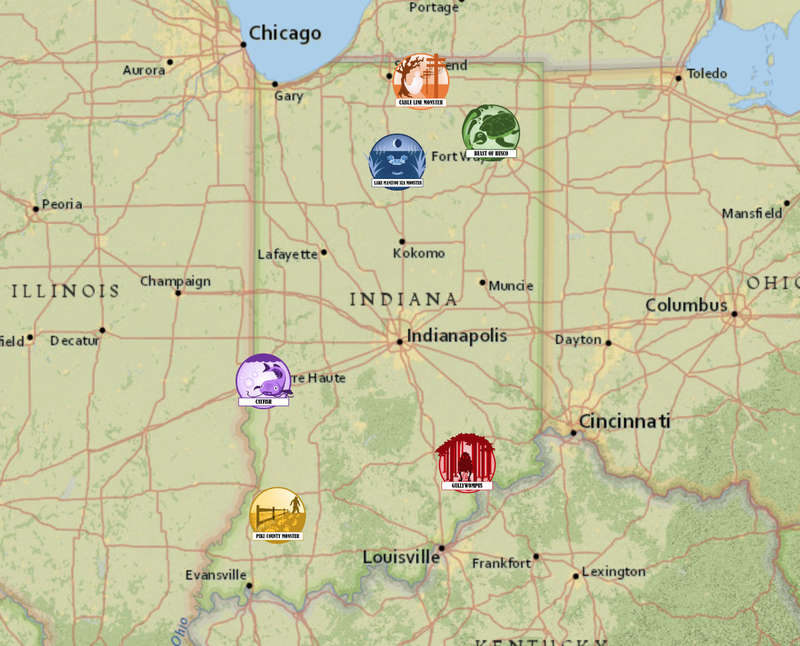 The Indiana University Bicentennial Oral History Project has collected over 1,000 interviews from alumni, current and retired faculty and staff at all 7 I.U. campuses. Voices remembering the good and difficult times at their alma mater provide a rich and often emotional history of the university. Memories of student protests, professors, favorite hangouts, national events, and football games are among the many stories shared over the years. When asked if they remembered a specific event on campus that impacted their life, Ruth DiSilvestro, Audrey Beckley, and Joan Keck had the same answer: they fell in love with their husbands at Indiana University. In a previous post, the Archives announced the papers of Geraldine K. White were open for research. In this post, we hope to give our readers a closer look at Geraldine’s life on campus. 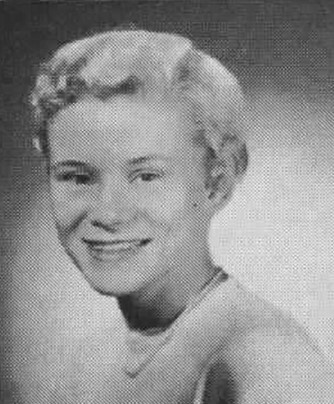 Geraldine, or “Jerry” as she was fondly referred by friends, kept detailed records of her time at IU through notes from her classes and the creation of scrapbooks. Researchers can glean a lot of information about her social life at IU from looking at the latter of these items. Many of the scrapbook pages are plastered with sports schedules, dance cards, programs from music and theater events, invitations to parties hosted by the Dean of Women, by-laws and pamphlets from various organizations and sororities, and much more. Geraldine was clearly very heavily involved in campus life as a whole. 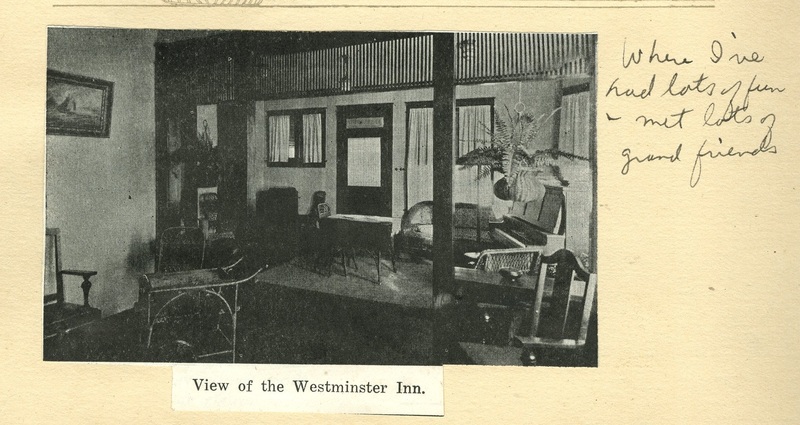 Another thing that stands out in Geraldine’s scrapbooks, however, are references to three houses: the Kirkwood, the Beta Sigma Omicron chapter house, and the Westminster Inn. She seems to have spent much of her time in these locations. The scrapbook is filled with notes from friends, most of which seem to have some connection to these places as well. This mansion, which was located at 301 East Kirkwood, was designed by architect Milton Pritchett in 1897 and stood on the north east corner of Lincoln and Kirkwood. The property was demolished in 1967 in order to make room for the site that would eventually become the current-day Monroe County Public Library. In its early years it served as the home of Calvin R. Worrall, a local lawyer. 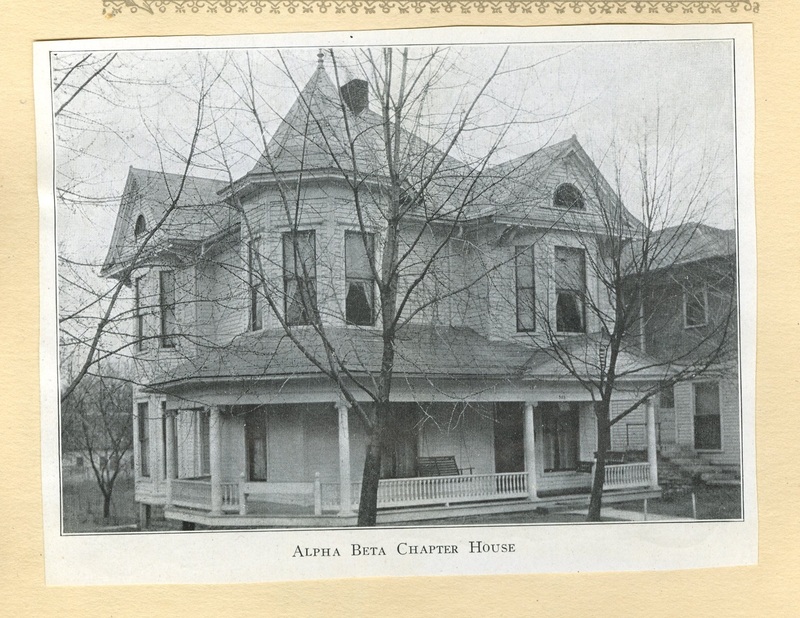 The house was then taken over by several fraternities Delta Tau Delta (around 1898), Lambda Chapter of Sigma Chi (around 1903-1904), and Delta Upsilon (around 1920). Later on in the 1930s it operated as a jazz bar and then as a doctor’s office during the 1940s-1960s (the practice of a certain Dr. T. L. Wilson). 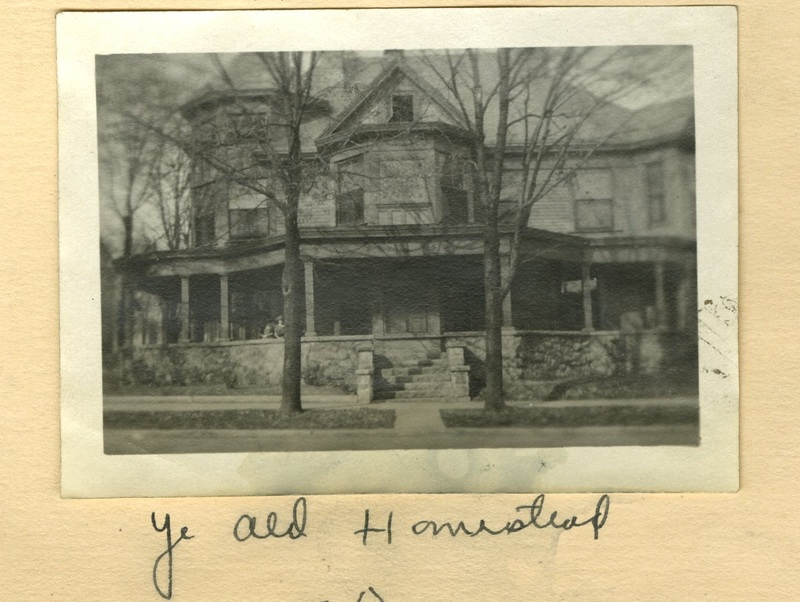 During Geraldine’s time at IU, the house was under the management of Rev. C. W. Harris, who served in France as a chaplain for the American Expeditionary Forces during World War I. From looking at the scrapbooks, Rev. 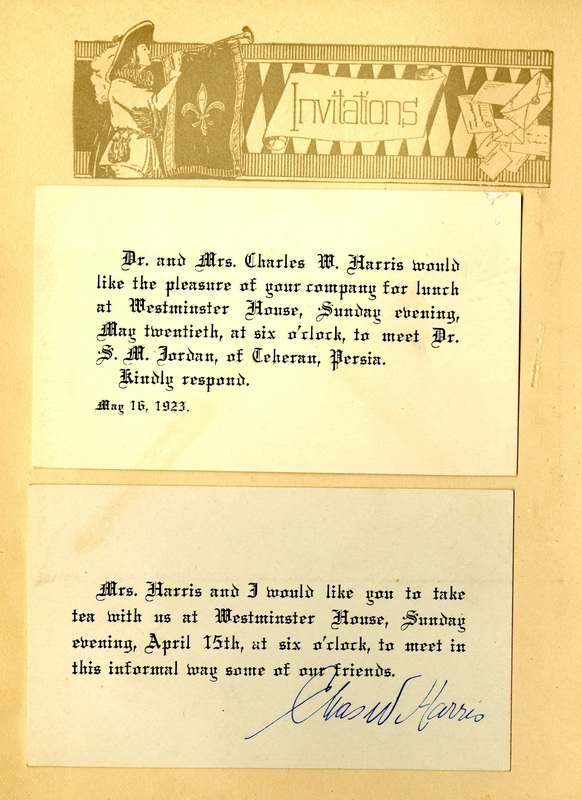 Harris’ wife seems to have enjoyed hosting students quite often whether it be for tea, dinner, farewell parties for seniors, or special events. One particular page displays an invitation to meet Dr. Samuel Martin Jordan, an influential Presbyterian missionary in Persia. The group that frequented the house even organized a play. 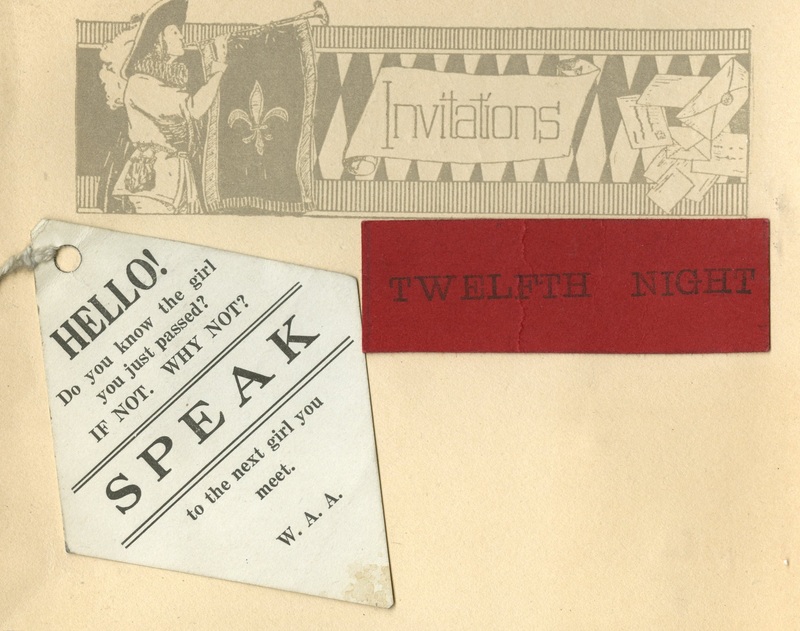 There are references in the scrapbook to Shakespeare’s “Twelfth Night.” Geraldine’s roommate from sophomore year at the Kirkwood house, Mabel, seems to have been involved with the play and mentions it in one of her notes in the scrapbook. The Westminster Dial of March 1928 confirms that the Westminster House put on a play of the Twelfth Night. If you would like to see the scrapbooks or other items from Geraldine’s time here at IU contact the IU Archives to set up an appointment! The archives also has several other student scrapbooks in its collection including those created by Kathleen Cavanaugh, Emma K. Schmidt, John Lincoln Nichols, Margaret Werling, and many others. Each documents a unique perspective of student experiences at IU. 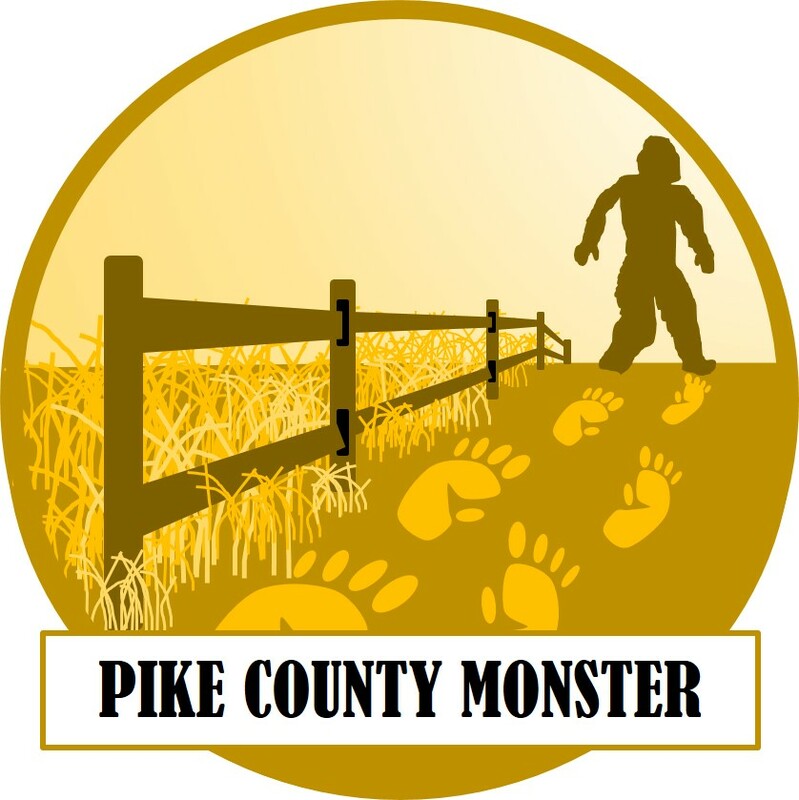 Ever wondered where to find a monster? From the 1960’s to the 1980’s students taking folklore courses at Indiana University conducted interviews around the state about topics that included local supernatural creatures. Those essays are now part of the Folklore Collection at the University Archives. To celebrate Halloween and the IU Themester on animals, I’ve selected six Hoosier Monsters for your reading and viewing terror. Portraits of our friendly neighborhood spooks were created by fellow folklore grad student (and monster enthusiast) Ben Bridges. At Camp Louis Ernst in DuPont, Indiana, Boy Scouts in the 1960’s and 70’s would take younger scouts out into the edge of camp to look for a creature called the Gullywompus. 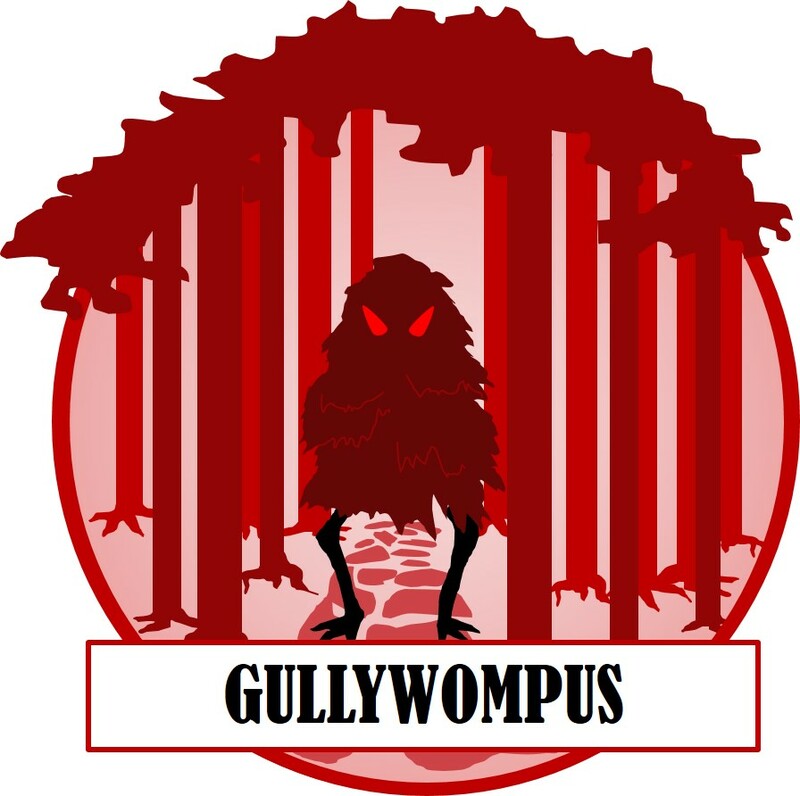 According to an IU student’s 1977 interview with a former camper who experienced this in 1963, the Gullywompus was “a large hairy creature that will get you if you don’t watch out.” The scouts said that it had lived in the camp since the 1920s, appeared on moonlit winter nights, and had flashing red eyes in the middle of its head. They also said it would tear up trees, throw boulders, make moaning noises, and grab and shake unwary hikers. The practice of tricking younger scouts is akin to “Snipe Hunting,” an initiation ritual practiced at summer camps across the United States. In Elkhart, Indiana, there are many legends about a specific tree on Cable Line Road. The story above was shared with an IU student in 1978 by a 19-year old former resident of Cable Line Road. The “Cable Line Monster,” depending on who you ask, either caused the fatal accident or stole the body of the victim. Elkhart residents say that the monster lives near the tree, and if you drive past the scene of the accident your car will rattle and shake. Who is said to have died in the crash varies, as does the reason for the accident – some people say it was a young couple coming home from a date and the boy fell asleep at the wheel, others that it was a motorcyclist going too fast in the rain, and still others that it was a father and his young son who were distracted by the monster. Whoever it was that met their end, it is said their spirit sometimes appears around the tree, and that if you shine your headlights on the tree at night you can clearly see the imprint of their face and body. People who live near Cable Line Road report strange happenings at night, including lights flickering on and off and phone calls with no one on the other end. 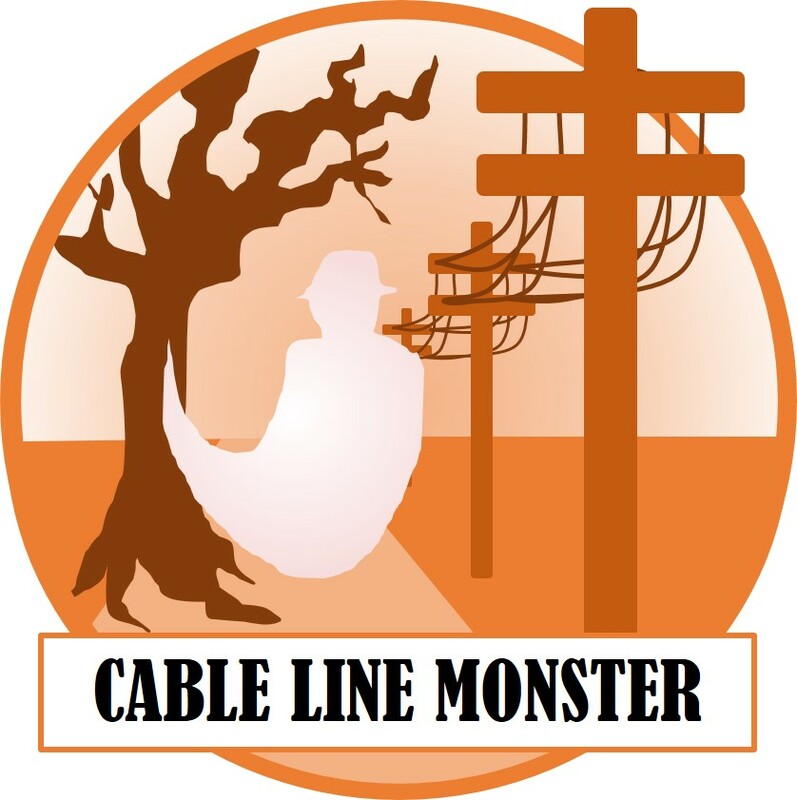 The Cable Line Monster itself is the subject of much disagreement: it is usually said to have caused the accident, but it has been described by different people as a troll, a hairy bear-like animal with glowing eyes, a swamp monster, or an alien. In Churubusco, Indiana, in the spring of 1949, Gale Harris saw a giant turtle that was “the size of large dinner table” in Fulk pond on his farm. 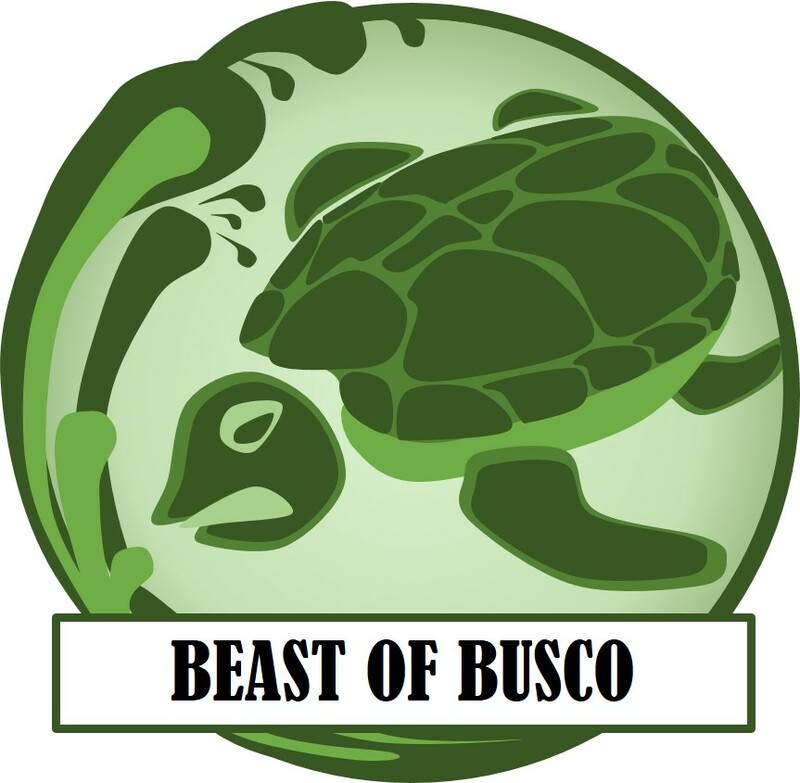 The pond was named after its previous owner Oscar Fulk, so the turtle was given the name Oscar. After Harris’s first turtle sighting he began trying to capture Oscar, drawing curious onlookers from across the state. Gale’s efforts, however, were plagued by bad luck: he attempted to drain the lake, but got appendicitis and could not continue. Then he and other turtle tourists rented a diving suit, but their plans were foiled when the helmet leaked. Lake Manitou is a man-made reservoir near Rochester, Indiana, created in 1828 as part of a treaty between the U.S. government and the Potawatomi Tribe. 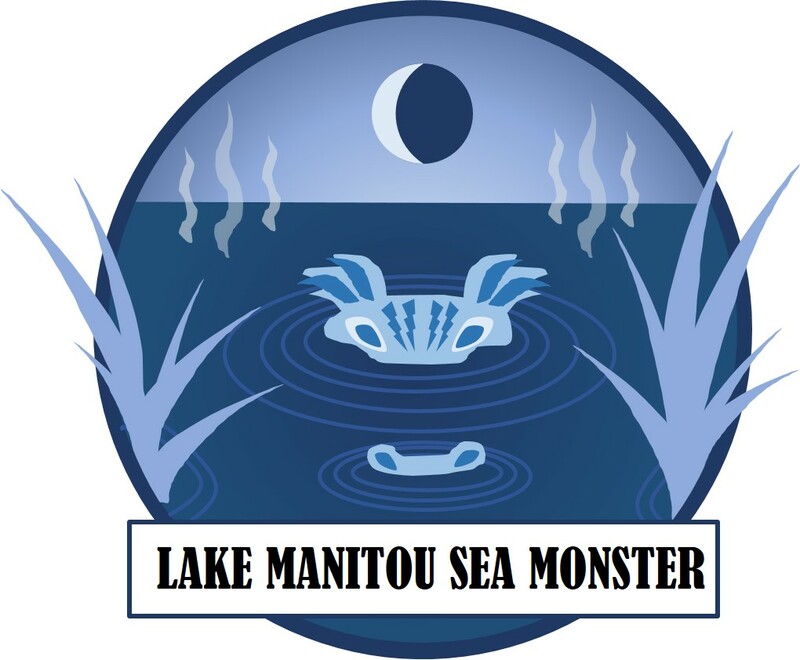 The tribe called it Lake Manitou, or “devil’s lake,” supposedly because they believed a monster lived in it. An IU student recorded the story above from a Manitou local in 1978, and suggested in his analysis that the legend was intended to explain the many disappearances in the lake. According to that report the stories continued at least into the 1950s, but other sources suggest that the sightings occurred mostly in the 19th century, particularly around 1838 when the Potawatomi people were forced to leave their land. In Terre Haute, Indiana, an IU student in 1973 interviewed an elderly plant worker about local folklore related to fishing. 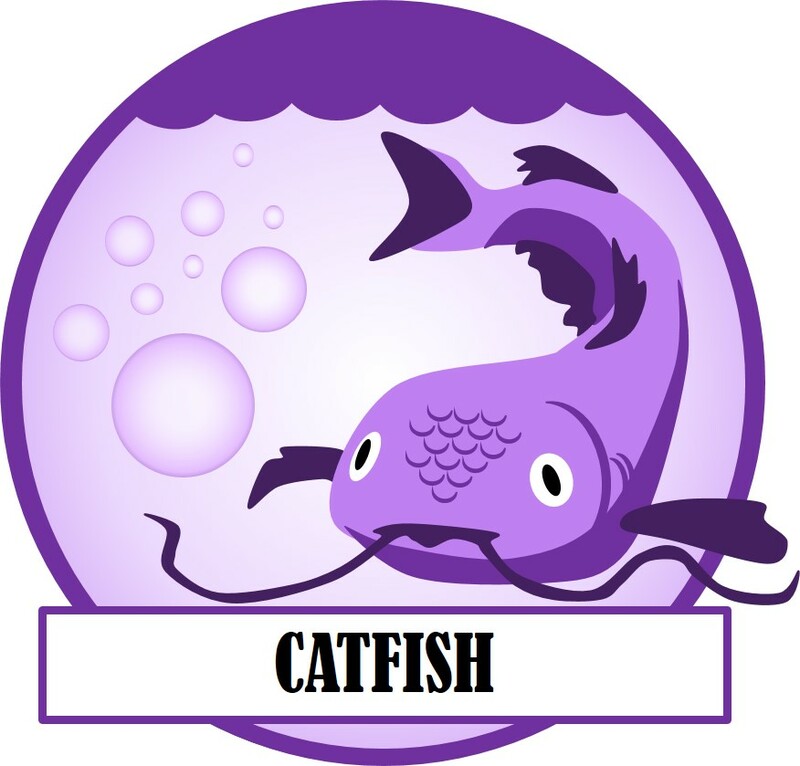 He shared with her the story above about a giant catfish living in the wreckage of an old train that had gone off a bridge over the Wabash River. The student who conducted the interview didn’t provide much information beyond the text of the story, but there was a train that fell in the Wabash River in the 1900 Big Four Bridge collapse. Despite later attempts to locate the ruins, part of the train is believed to remain underwater to this day. While the story of the giant catfish in the Wabash doesn’t appear to have become very well known, it is similar to many other stories of large fish appearing in rivers and lakes across the state. Love Is in the Air at the Archives! Over the past few weeks, I looked for love in all the right places, namely, within the University Archives! On February 1, the Archives sponsored a Pop-Up! exhibit, “Love and Friendship in the Archives.” In honor of Valentine’s Day, the exhibit examined love and friendship contained in the Archives’ collections. I worked on the exhibit, which allowed me to discover part of the long history of love at IU. On one hand, I learned about IU traditions and campus spots associated with love. For instance, there was the Board Walk, a path that crisscrossed the Old Crescent, stretching from Indiana Avenue to Forest Place (now home to Ballantine) and was known in the early decades of the twentieth century as the “lover’s lane” of campus. There is also the “Spooning Wall” or the “Lovers’ Wall,” which still stretches along Third Street. Hoagy Carmichael is said to have found his inspiration for “Stardust” while sitting on the Lovers’ Wall. Page from the scrapbook of Joan Richards Neff, class of 1949. IU Archives Collection C597. But more important were the personal glimpses that I got into the lives of IU students and faculty. The Archives contains many scrapbooks from students who documented the love and friendship they found here. 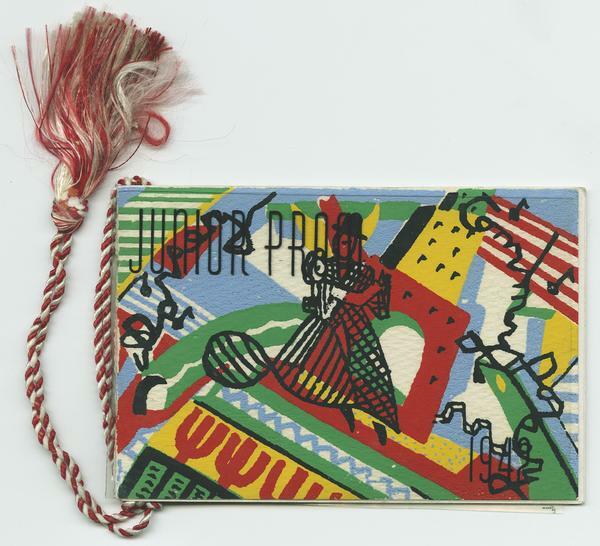 One set of scrapbooks belonged to Doris Joan Richards Neff, who attended IU from 1945 to 1949. 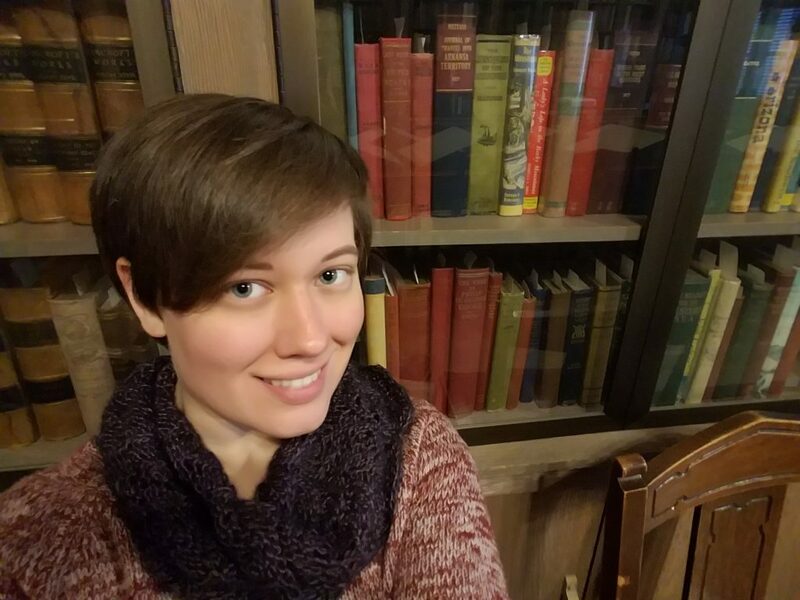 She put together a scrapbook for each year she was at IU, filled with mementos from dances, parties, and even impromptu taco dinners with friends. 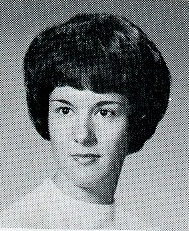 While a student, Joan met Franklin Neff, and the two married after graduation. 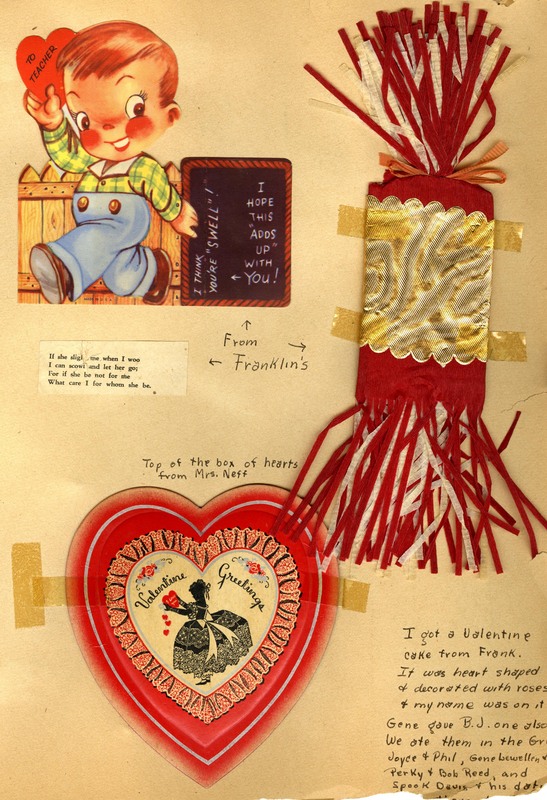 Joan kept all kinds of things related to her romance with Frank, including parts of the gifts he gave her, dried roses she received for their anniversaries, and Valentines from Frank and his mother. 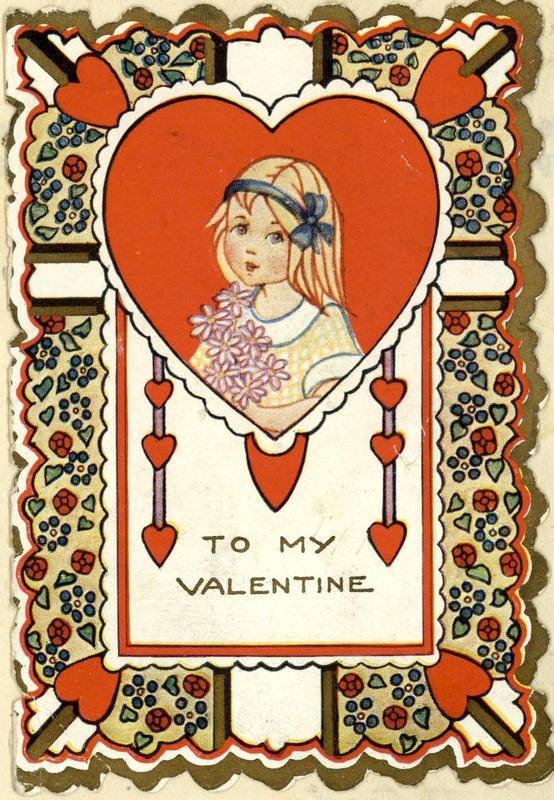 Valentine from Cecilia Hennel Hendricks family papers, IU Archives Collection C413. Believe it or not, students weren’t the only ones expressing their love at IU – apparently, faculty sometimes find love too! Perhaps my favorite examples are in the Cecilia Hennel Hendricks family papers and the Avis Tarrant Burke papers. 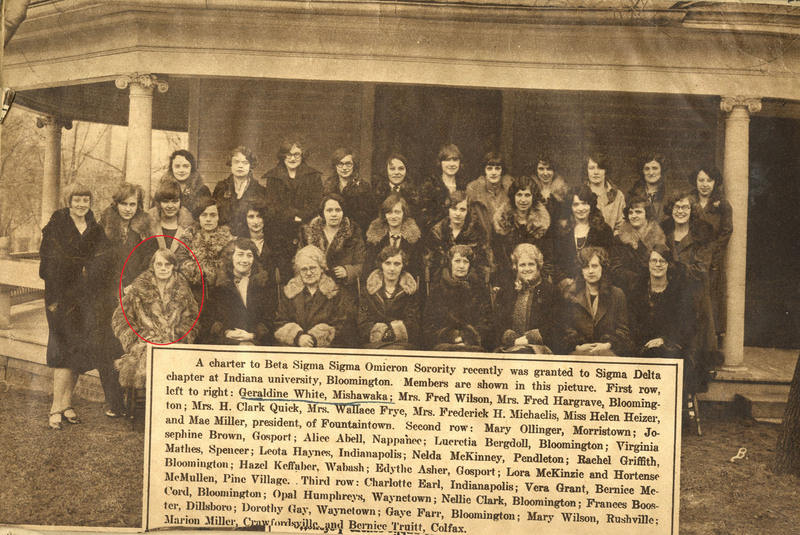 All three Hennel sisters – Cecilia, Cora, and Edith – were students at IU in the 1900s, and all three taught on the faculty at various times. 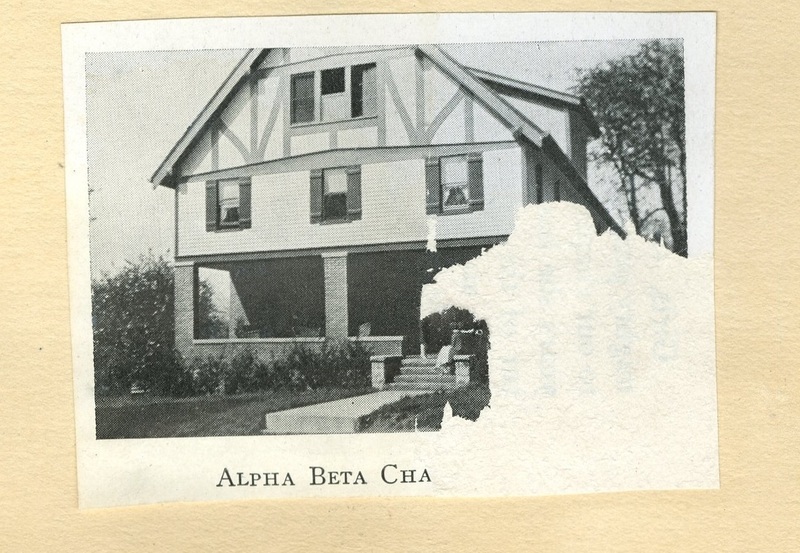 In 1913, Cecilia resigned as an instructor in the English Department in order to marry John Hendricks, and the two moved to Wyoming to run a bee farm. Being so far away didn’t stop Cecilia from keeping close ties with the rest of her family. The Hendricks family kept up a lively correspondence, and in a letter of February 17, 1914, Cecilia wrote that in one day, she received 11 letters, one card, and a package in the mail! The family papers are full of Valentines from daughter to mother, daughter to father, and from the whole family to their grandfather. In later life, when Cecilia returned to IU to teach in the English Department, she was so beloved by her students that some of them sent her Valentine cards and even flowers. For sheer romance, though, you almost can’t beat the tenderness that existed between Avis Tarrant Burke and her husband, Robert E. Burke. Avis Tarrant married her old friend Robert in 1916 and moved to Bloomington to be with him. 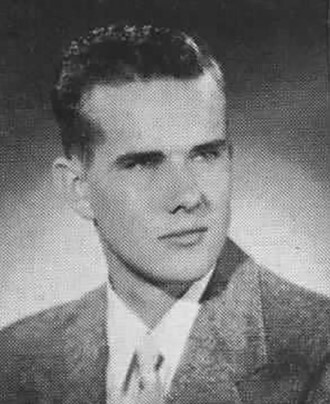 Robert was an assistant professor of Fine Arts, and Avis taught at the McCalla school and eventually worked at the University Extension Division. The two traveled together extensively, including to Europe, Hawaii, and the Pacific Northwest. Avis kept travel diaries that documented their adventures together, as well as personal diaries that documented less sensational “adventures.” For February 14, 1942, she wrote in her diary about two “events” for the day: Robert gave her a box of chocolates for Valentine’s Day and that she spent the morning cleaning out the closets! Whenever the two were apart, they wrote very touching letters and poems to each other. 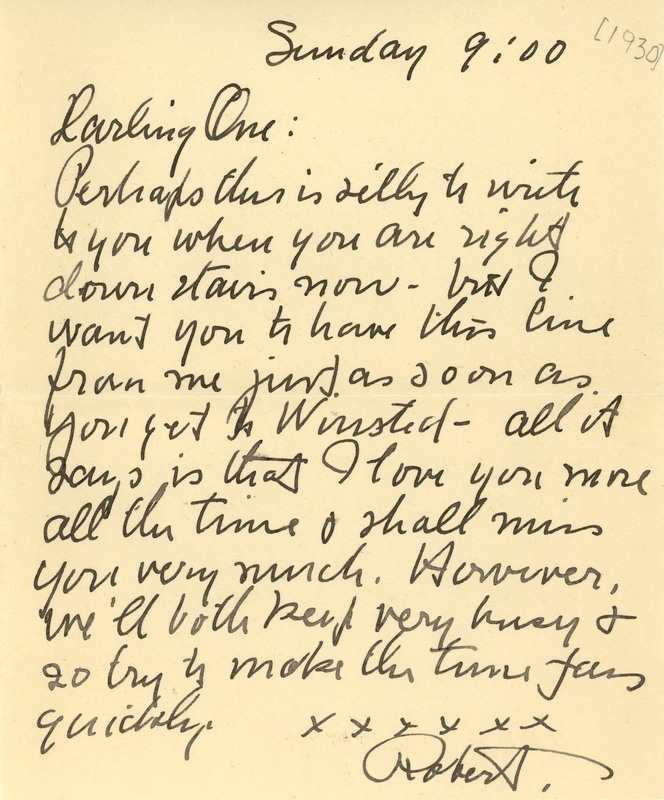 One letter that Robert wrote to Avis reads, “Darling One: Perhaps this is silly to write to you when you are right downstairs now – but I want you to have this line from me just as soon as you get to Winsted [Connecticut] – all it says is that I love you more all the time and shall miss you very much. However, we’ll both keep very busy & so try to make the times pass quickly. xxxxxx Robert.” Avis wrote poems expressing how lonely she was walking down the streets of Chicago without Robert, as well as poems such as “To My Valentine of Twenty Years.” It seems like the love and affection that Avis and Robert had for each other never faded. Robert Burke to wife Avis. IU Archives Collection C96. Part of the beauty of a place like the IU Archives is that love never dies. Come find love at the IU Archives! Posted on February 13, 2018 by Author Sara Stefani Posted in Categories From our collections, Just for fun | Tagged: Tags Scrapbooks, Valentine's Day | Leave a comment on Love Is in the Air at the Archives!